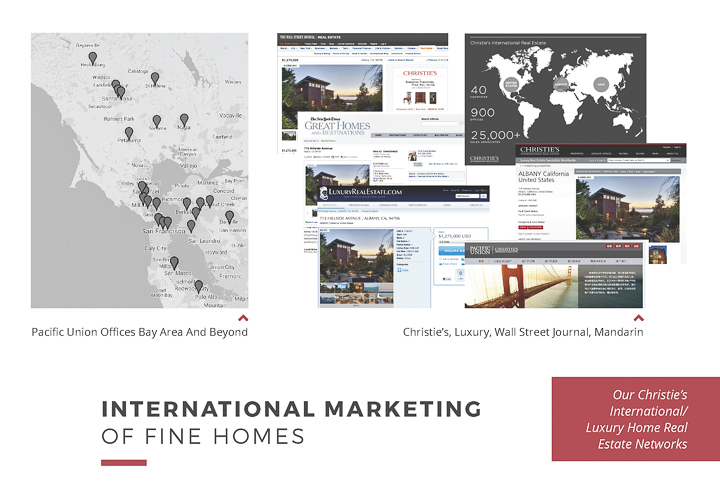 We’re position our fine and distinctive homes on luxury real estate sites such as Christie’s International Real Estate, Luxury Real Estate, Pacific Union’s Mandarin, The New York Times, and the Wall Street Journal. 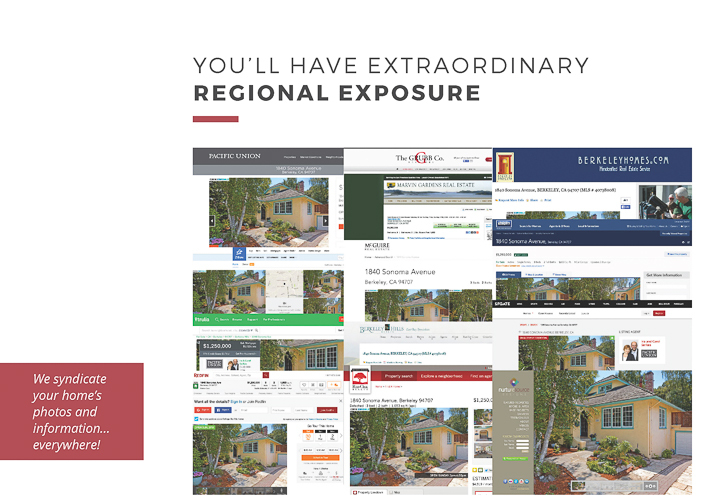 Our online marketing excites buyers to see your home… syndication of the photos and home details to all local real estate company web sites,neighborhood information, maps to show buyers likely commute routes, comprehensive disclosure package … all the information they need to visit your home and to write an outstanding offer. 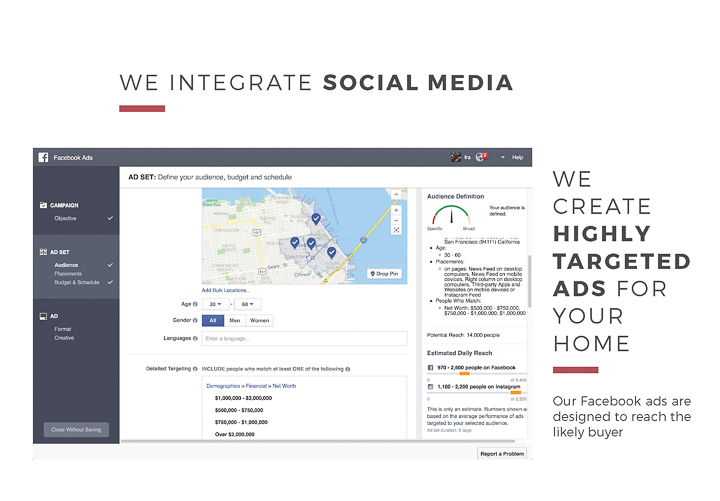 Our Facebook ads are carefully designed to reach the likely buyer. 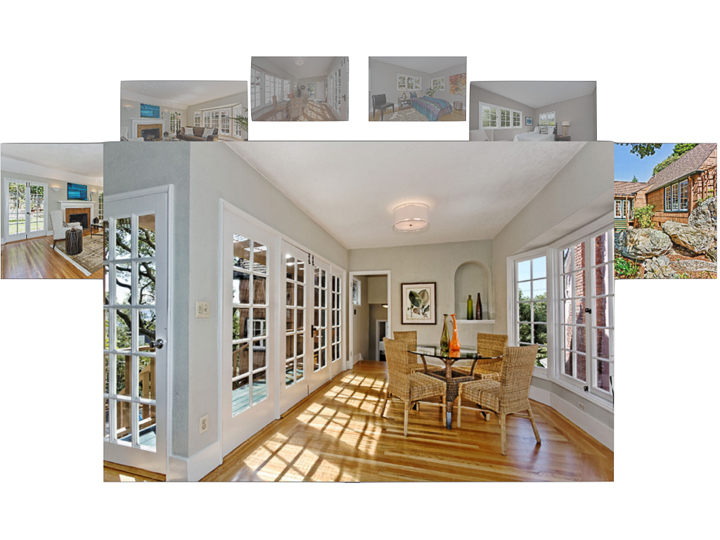 Extraordinary print and online marketing gets our sellers the highest possible price.